At Bethany Assisted Living, we make genuine compassion and quality services intentional. From the very beginning, we made it a point to recruit and hire only carers and staff who have real dedication to their craft and have a sincere heart for serving. We understand that you would want to be cared for the way family members would, so we made sure that we only provide you with people who will consider you like one. 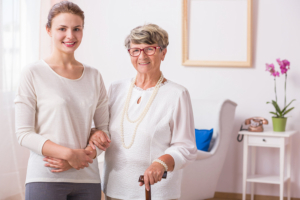 All our carers have undergone the necessary training and experience that seasoned them with skills on how to properly care for delicate individuals like you or your loved one. You can be sure that if you choose Bethany Assisted Living, you will be in the hands which can be trusted to appropriately assist you and support you so you can achieve the quality of life that you dream even with your age or condition. We would like to understand how we can assist you best. Kindly call us to schedule an appointment with our administrator soon. You may reach Bethany Assisted Living through our number, 218-435-1044.